Rent Skyline Club | Corporate Events | Wedding Locations, Event Spaces and Party Venues. "The Skyline Club is located on the 36th Floor of the OneAmerica Building. 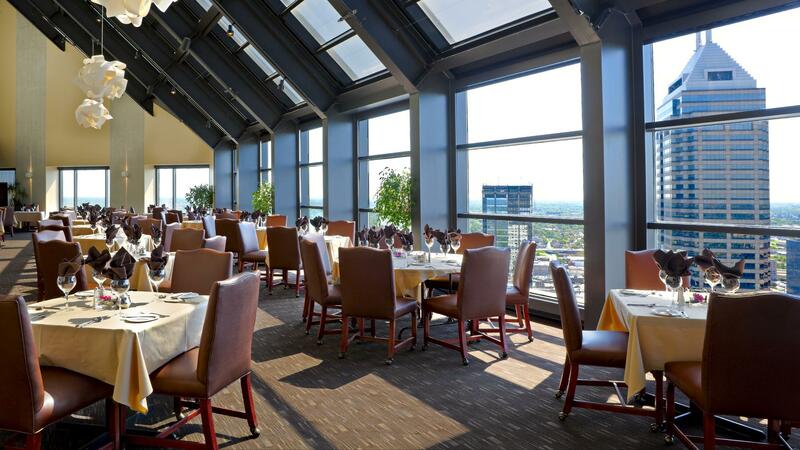 The Bistro and Main Dining Room have floor to ceiling views of downtown Indianapolis. Both rooms overlook Monument Circle and Lucas Oil Stadium.